iPage Problems List - What Are Common iPage Problems? For every company, there will always be a mix of positive and negative feedbacks from clients, depending on their actual experience with a product or service. The same can be said with online businesses. You may encounter mixed reviews on iPage, though most would be positive, as you can see here. But the thing is, not all companies are perfect, so if you’re planning to subscribe to iPage, you may need to know what to expect or what’s in the fine print. iPage is one of the leading web hosting providers with over 10 years’ worth of experience in providing high-quality services. It is one of the best and most popular web hosts in the industry, where most of the reviews by clients are generally favorable. However, it’s not without complaints. After all, no company can please each and every customer. 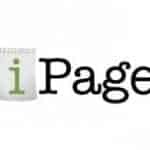 The good thing, however, is that iPage does something about these complaints and strives to improve the system to bring out the best in the websites they are hosting. Let’s take a closer look into these complaints and see if they are true. First of all, all perks and limitations to iPage’s services are stipulated in their contract. So if you, the customer, fail to read and understand these terms of service, then you might eventually face a problem that could otherwise be resolved if you just read through the contract. You should know that the moment you tick on “I Accept” during the registration process, any company or business would assume that you were able to read through everything and that you agree with the terms. There have been user reports on minor billing issues, particularly for first-time subscribers who used iPage coupons. Since promotional discount coupons for iPage services are run simultaneously all at the same time, their billing agreement sometimes experiences delays on getting updated. Solution: It is easy to resolve this issue though, just be sure that you have printed out your coupon’s copy and approach iPage’s dedicated support team, for the coupon to reflect immediately to your monthly bill. You may also have heard that the extra freebies you obtain during the first year of you iPage subscription would be charged the following year. This is not necessarily a disadvantage, as this makes it easier for you to customize your subscription. Meaning if you found the extra features to be useful for the first year, you could continue to use these again, but for a fee. There is also the issue regarding the money-back-guarantee being offered by iPage. They promise an “anytime” money-back-guarantee, but this would only promise you a partial refund. You’d get charged to keep your domain and would only get the refund amount which covers the remaining months left on your subscription—unless you file the money-back within 30 days, where in you’d get 100% of your money back. iPage is perfect for web programming beginners, as it features a number of website building tools and an easy to understand user-interface. Since iPage was made and geared towards first-time users, it has opted to not include some features for more experienced webmasters. For example, iPage does not support ASP.net and SSH access, which advance users prefer while beginners would find it an unneeded feature or command. iPage may have some chances of downtime or slow speeds during hosting, but most of the time they address to them immediately to deliver optimum and reliable hosting speeds. This situation would only occur when their servers experience power outages (which are rare) or are very busy with other users during peak times. Solution: iPage currently deals with these issues and are constantly adding more servers and data centers to give more consistent speeds for users effectively. iPage handles more than a million websites, with a growing number of users each day. They take pride in their 24/7 dedicated support team which could be contacted through e-mail, phone or live-chat. There may be times though that you would experience a congested telephone customers’ support line, which would make you wait for a maximum of 20 minutes. As an alternative you can opt for the live chat method to get immediate attention. Some users also experience problems with filing a trouble ticket through e-mail, but this situation of failed transactions are rare. And since there are always alternative ways to contact customer support, iPage provides you with more flexibility to voice out your concerns. Solution: My preferred way to get support at iPage is to email support (at) ipage-inc.com, as they respond within 1-2 hours most days, even on weekends and at night time. They are expert-level techs and way beyond the chat support staff. Is iPage Worth the Investment? Web hosting can be quite costly, so it’s important to find a web host that can provide you with the best services for all your hosting needs. 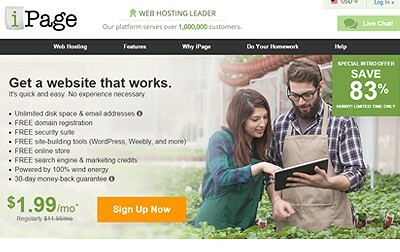 Every web hosting company has their drawbacks, and iPage is no exception. But one thing’s for sure: iPage can provide clients with a more solid experience compared to other web hosting companies out there. Not only do they have affordable web hosting plans, they also provide easy-to-use features and throws in a lot of additional perks for free! Despite iPage’s limitations, the benefits a user will get from their services definitely outweigh it. 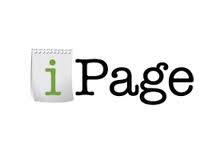 iPage remains to be the best choice for website owners, particularly for beginners who are new to the World Wide Web. How about a discount for a Non Profit Organization? Follow me step-by-step to make an awesome website with Wordpress!